Today I am participating in Vicky's Grow your blog party. The idea is to meet other interesting bloggers and grow you blog at the same time. My name is Beca. I am a stay at home, homeschooling mom. I live in the great state of Texas. I love to take care of my family and I love to take care of my home. When I'm not doing either, I love to be creative. I love making things with my hands. I have many interests but my hobby of choice is crochet. I love relaxing in the evenings with my hook and my yarn and I love the satisfaction I feel when I've created something out of - what is essentially - a ball of string. I use my blog as a place to share all of my creations and I love to go around and see what others are working on. I'm also taking a class on knitting and hope to improve my skills with time and practice. 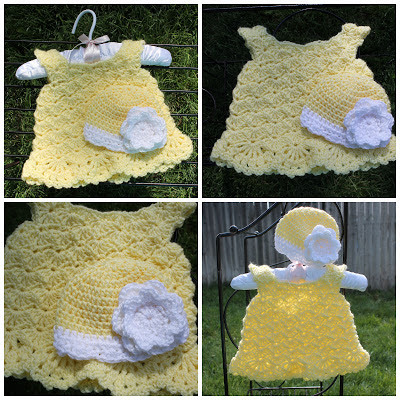 A few photos of some things I've crocheted and shared on my blog. these dresses you can find them on my Ravelry page. And sometimes I'll even create things in the kitchen. If you've come for a visit, leave me a comment and I'll be sure to return the visit. Hope we can become friends. I'm Terry. I am one of Vicki's volunteers. I too am a crocheter! Your work is beautiful! I am presently crocheting a baby blanket. It is the first time I am using a chart. So far all is going well. Have fun visiting all the wonderful blogs! Hi Beca, thanks for the recap of all of your beautiful creations and the baby dresses I just love. Have fun on the grow you blog. Wishing you a wonderful weekend. 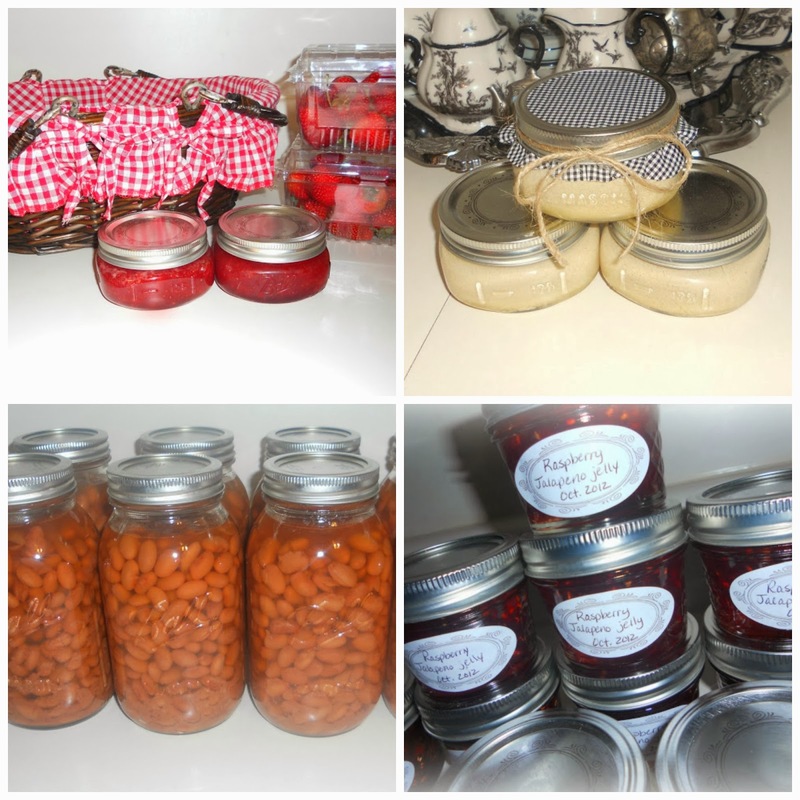 Hi, I'm Linda from craftygardener.ca and I found your site from the Grow Your Blog event. Your crochet work is wonderful. It has been nice browsing through your blog. OMG, I love love love those baby dresses. I am a crochet-er also. I just made 2 baby blanket sets of blanket, booties and bonnets for my sister's friend. 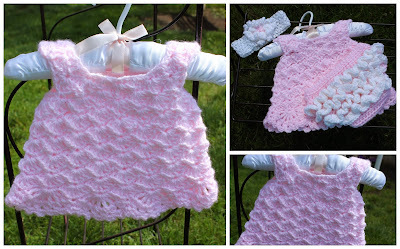 Now I have to make a baby dress for my new granddaughter due in May. Thanks for the inspiration! and by the way, do you have a pattern site you could share for the dresses? Your work is lovely, YOu have a lot on your plate! I am impressed! Visiting here from GROW YOUR BLOG. Those baby dresses are adorable! I didn't know you sew as well (I used to long time ago). And you even can food, that's awesome. Enjoyed browsing around your blog. Love, love those little girl dresses. Will be back to browse some more at a later time. 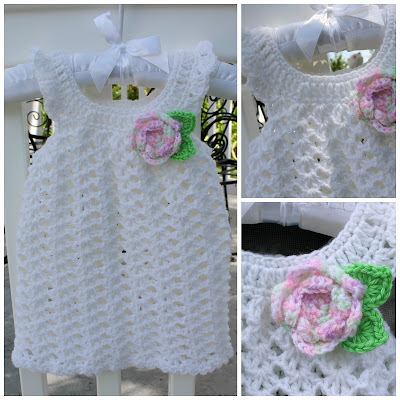 Your baby dresses rock! Just stopping by for the GYB Party. I love those beautiful little dresses you made, they are gorgeous! I am visiting you from GYB. You have a wonderful blog! Hi Beca. Pleased to meet you. Am here via GYB. Lovely little dresses, such pretty colours. Hope you will visit me too. I cannot crochet, & really appreciate those with the coordination. Love the Campbell Soup dolls! This sounds like a lot o fun to join. Will check it out. Also, based on what I have seen, you do not need lessons to crochet. You do a great job. Hey Beca, hats off to you for homeschooling. I know how stressful that can be but it is so rewarding also. 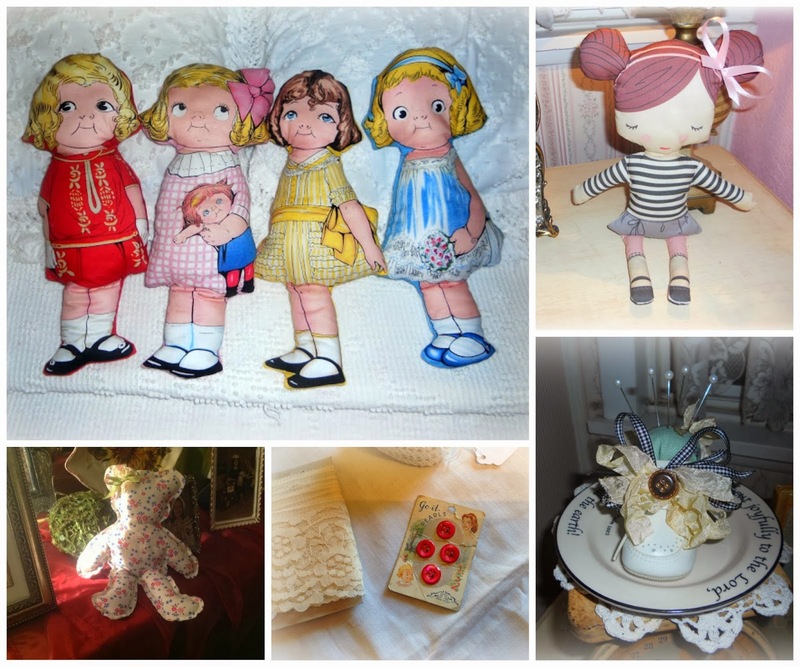 I absolutely love your dolls, they are just darling. I wish I knew how to can, and you make your things look so pretty. Good luck on selling your house. It has been lovely getting to know you. Greetings from St. John's, Newfoundland, Canada. I crochet sometimes. I just finished Shaun the Sheep for my granddaughter. If you search my blog, you will see Shaun. Your crochet projects are cute. Hi Beca, have enjoyed my visit here. Adorable dolls, they are very sweet. Fingers crossed your house sells quickly. 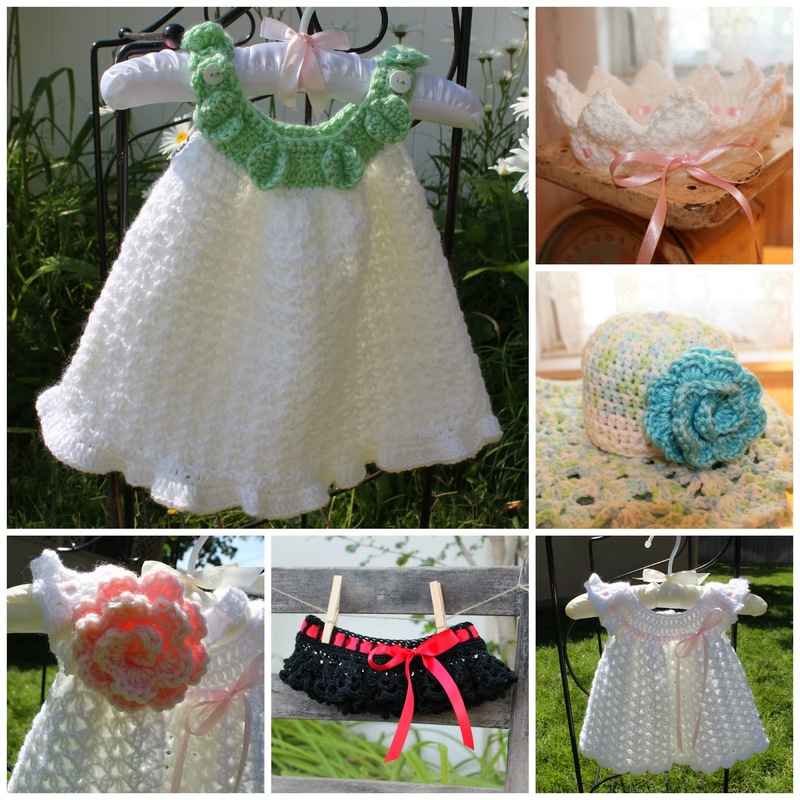 I love your white baby dresses - they are simply beautiful. I hope everything goes well with your move - it can be a trying time. Your blog is beautiful - thanks for sharing.